At the beginning of 17th century during the Edo period in Japan, sumo wrestling became the sport of choice. Fast forward to the 21st century. Jumping Bean recreates the fun version of sumo wrestling. 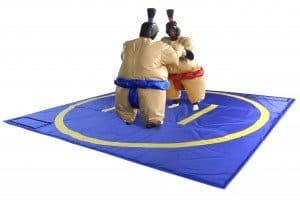 Choose an opponent, place the suits, gloves and helmets on and convert yourself into a 400lb sumo wrestler. Just like the ones from Japan except a lot less serious. The idea is to push, pull, bump into and grab your opponent in attempt to knock him or her down or bump outside the circle. Take photos and videos for memories that will last a lifetime.Ages 13 & up. 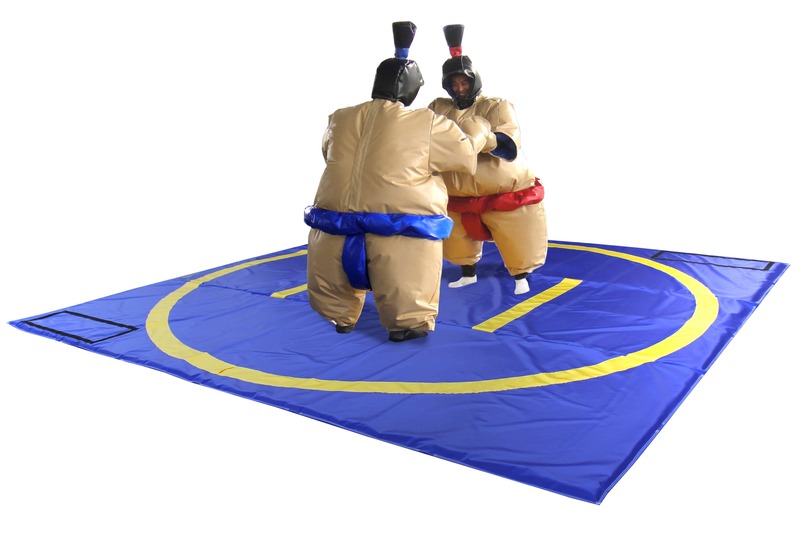 It comes with 2 sumo suits, 2 helmets, 2 pairs of gloves and a 15×15 wrestling mat.